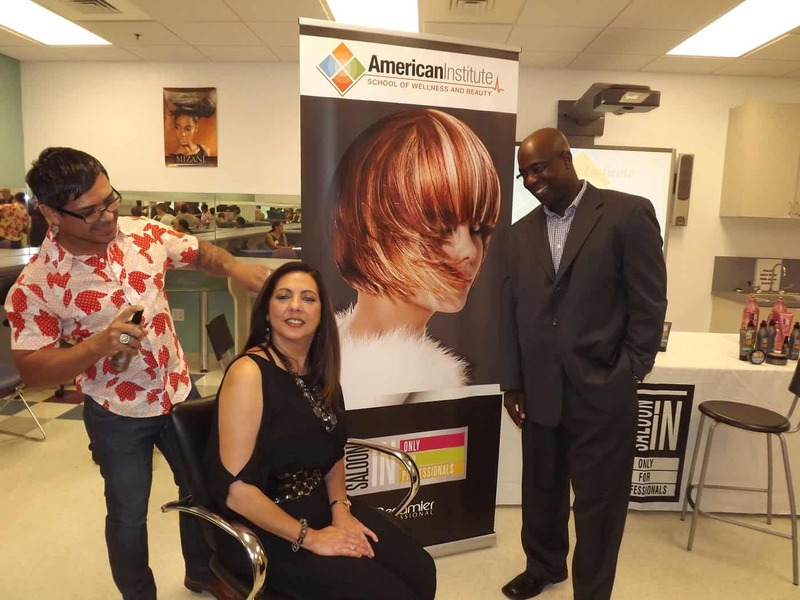 Margate, FL – During the American Institute Wellness Week Alumni Event, the Margate Campus featured their Cosmetology product partner Saloon In by Recamier Professional. The campus partnered with the Colombia-based company this year, and uses their exclusive professional products in their full service campus salon. The partnership allows the American Institute Cosmetology students to apply their acquired skills with a quality, professional product line while affording clients of the salon remarkable results. “Saloon In has become an intricate part of the Cosmetology program here at American Institute” commented Campus President Richard McCulloch. “The wonderful staff and professionals from Saloon In meet with us regularly to offer demos to our students and Cosmetology faculty, and they have been great liaisons with the administration to explore different ways to enhance the salon experience for our students and clients.” American Institute School of Wellness and Beauty is the only school in Southeast Florida that features the Saloon In line, so “We are encouraging people to make their way to the Margate campus to experience the quality results that Saloon In has to offer,” added McCulloch.